Picking an all-star team is never an easy task because there are usually many worthy candidates. The subjective nature of picking an all-star team makes this endeavor complex and, in some sports where you don't play every team in your league, opposing coaches who vote for the team don't always have enough to go on in casting their ballots. Be it as it may, this doesn't absolve any of the leagues for their failure in making fair choices and making sure that all deserving athletes receive their just due. Therefore, there were many athletes who didn't get the honor they deserved and a couple who were unfairly totally snubbed by the selectors. How Staples boys lacrosse player Matt Yeager didn't get First Team All-FCIAC is unfathomable. Yeager was the anchor to Staples' defense, picked up just about every ground ball in his area and was instrumental in shutting down the opposing attacker. The FCIAC selected Yeager as Second Team All-FCIAC but he was arguably one of the best -- if not the best -- defender in the league and he should have been selected First Team All-FCIAC. Class L recognized his prowess and selected him First Team All-State. Sticking with lacrosse, how Staples midfielder Ali Crofts was only Honorable Mention was also unfathomable. Crofts was a game-changer with her speed and was solid on offense and defense. As bad as Crofts' omission was, not giving goalie Penny Tsilfides an honor was even worse. Tsilfides was the difference in net in a few games for the Lady Wreckers and, at the very least, should have been Honorable Mention, if not Second Team. More confusion was how Crofts' and Tsilfides' teammate, Maeve Flaherty, who was deservedly selected First Team All-FCIAC and First Team All-American, was not chosen as an All-Stater. That makes no sense. Flaherty played like an All-Stater and deserved this status. On the subject of girls lacrosse, the SWC doesn't select anyone for honorable mention, which it should do going forward. Weston had a few players who all deserved Honorable Mention: Becky O'Brien, Alex Fumai and Cara Fleming. Staples boys volleyball players Drew Appleman and A.J. Green also deserved Honorable Mention for the way they hit and middle hitter Andreas Bub, who was Second Team All-FCIAC, deserved First Team honors. Bub was dominant inside and, just for his electric and exciting style of play, he should have received the highest honor. 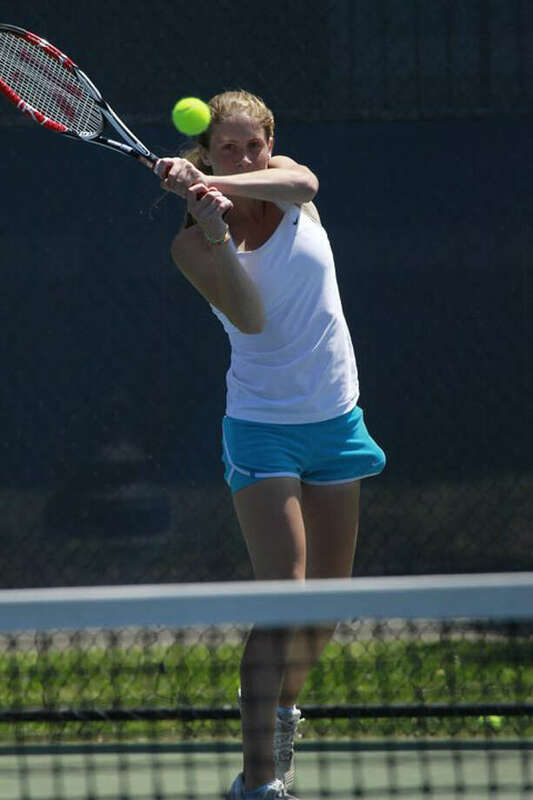 Lady Wrecker singles player Molly Rudinger compiled a 12-4 regular season record in tennis while playing at third or second singles. Despite winning 75 percent of her matches against top players, Rudinger received no recognition. This was wrong because Rudinger's performance helped Staples compile a 14-2 record while playing in the strongest league in the state and moreover, she moved up second singles because of an injury and was still successful despite playing at a higher level than she was slated for. Based on her performance, Rudinger deserved at least Rudinger deserved at least Honorable Mention and should have received All-FCIAC West Division honors since there were players down the ladder who garnered this honor despite winning much less than 75 percent of their matches. The biggest outrage was Weston's first singles player Kimmy Guerin not receiving First Team All-SWC -- or any honors by the SWC for that matter. Guerin was the State Open singles champion and lost only eight games all year, one during the regular season, two in Class S and five in the State Open (games, not sets or matches), which rarely happens. Unlike the other situations, Guerin was snubbed not based on subjectivity (she should be the league MVP and was the Connecticut Post's All-Area team's MVP), but because she didn't compete in the SWC individuals tournament. Snubbing her for that was wrong because her body of work was evident that she was First Team All-SWC. Guerin didn't compete in the tournament because she participated in the USTA tournament, which is much more challenging than SWC individuals and will help her game for the long term. She has the potential to play for the top colleges in the country and could compete professionally, thus participating in SWC individuals, which is like a glorified exhibition (the FCIAC doesn't have individuals), is pointless for Guerin when she has more important competitions on her docket. Overall, coaches are human and make mistakes as well but going forward, they need to do a better job of getting things right.